Nikon has confirmed that pre-orders for its new semi-pro full-frame DSLR, the Nikon D800, have been better than expected. Speaking to TechRadar, Jeremy Gilbert, Nikon UK marketing manager, said, "People have been asking for the D800 for the past two years, and the excitement has been building and building." 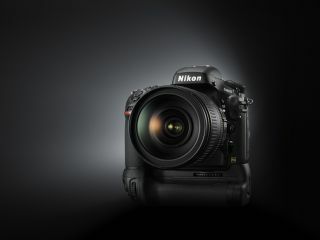 The D800 was announced in February and is the world's highest resolution full-frame camera, packing 36 million pixels. According to Nikon, it doesn't replace the D700, but rather sits alongside it in a new category that seems to be pretty squarely aimed at medium format users and portrait photographers. Gilbert continued, "The feedback has been really good, and the pre-orders are unprecedented." A second version of the D800 was also announced in February, the D800E, which has the same specs, but features a removed anti-aliasing filter which is designed to appeal to landscape photographers and costs an extra £400. According to Gilbert, the D800E has also been received well. "Pre-orders are higher than anticipated. We're quite keen to get retailers to make sure people try before they buy so that consumers understand the positives and drawbacks of using the camera." The Nikon D800 is due to start sales in the next couple of weeks, while D800E buyers will need to wait until April.